You’ve heard the ads, seen the glossy brochure and checked the website-now you want to understand the costs. Comfort Life is here to provide the knowledge required to ask the right questions and get the financial answers you need. Getting the bottom line on costs means asking quality questions of the communities you’re considering. But first you need to do some homework. It’s a multi-step process. Imagine buying a car. You’d check ads, articles, the Internet, and talk to friends. You’d think carefully about the size of car, the features that are must-haves its intended use and, about all, your budget. You’d visit a few dealers, ask a lot of questions, test-drive it, and strike a deal you felt comfortable with. 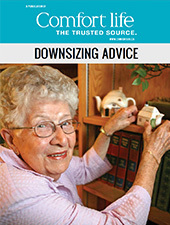 Approaching a move to a retirement home isn’t much different! Your next step is to evaluate you budget, which entails capturing your existing living costs and determining how much you can afford to devote to monthly rental and care for the upcoming years. 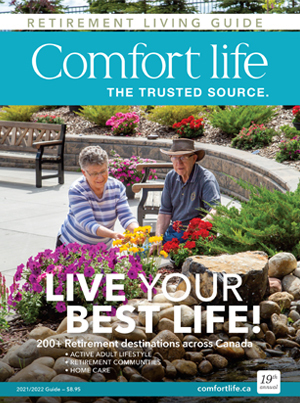 Comfort Life’s retirement cost calculator, found at comfortlife.ca/p/calculator, can help you at this stage. Fill out the “Monthly Home Costs” column to get a handle on your current expenses. Late, when you have completed your research on retirement home costs, fill in the second column of the calculate, and compare your current expenses to your expect expense once you retire or move. Once you’ve established your needs and budget, it’s time to get clear on expected costs by asking the right questions of retirement residences. Costs typically include three meals per day, as well as morning and afternoon snacks: diets can be developed fro diabetic, low-salt or cultural requirements. What is included in accommodation charges? Is it just ‘rent’, or are utilities, cable TV, Internet, personal alarm, sheets, towels and personal laundry included? Is there a flexible meal plan, if I want to prepare a meal, such as breakfast, in m y own suite? Am I charged for meals that I miss or have elsewhere? Are pets allowed, provided care can be arranged for them? What are the admission requirements (typically a TB test and chest X-ray); do they entail a cost or lead-time? Do I need tenant’s insurance; if so, does the residence have a group plan? How is care provided and what are the associated costs? Is care provided by a ‘sister’ company (like a home care agency)? Is care charged by the hour, and in what time increments? Is there a minimum or maximum amount of care provided? If I am in independent living, what happens if I need care? Does the residence supply care, and at what cost? May I bring in my own caregiver? Is publicly funded care still available even though I am in residence, which can provide care? What happens if I am ill when the doctor is not onsite? Is the policy to call 911? Must I go to the hospital? Will a staff member accompany me? Is there a maximum amount of care that is allowed in a retirement home, versus needing to go to a long-term care residence? Who makes that decision? You may receive bills from other services providers if you choose to use their optional services Examples may include the pharmacy that delivers all medication to the residence, physiotherapy services (which are no longer covered by most provincial plans), visiting services such as foot care and the on-site hair salon or spa. Are medications and other supplies ordered at a central pharmacy? Is using this pharmacy mandatory? Is there service truly cost-effective, or is there another reason for the arrangement (such as being owned by the residence’s parent company)? Assess whether visiting health services such as physiotherapy eye, dental or hearing clinics, and medical lab visits are cost-effective for you. For off-site activities such as trips to theatres or restaurants, what does the cost cover? Is it just transportation on the residence mini-bus, or does it include the even ticket or meal bill? As with every important purchase, knowledge is power. The more you know your own needs, preferences and budget, the more information you can gather, and the better your decision will be.